The display is set in 1943 during the New Guinea Campaign, as Part of Operation Cartwheel. 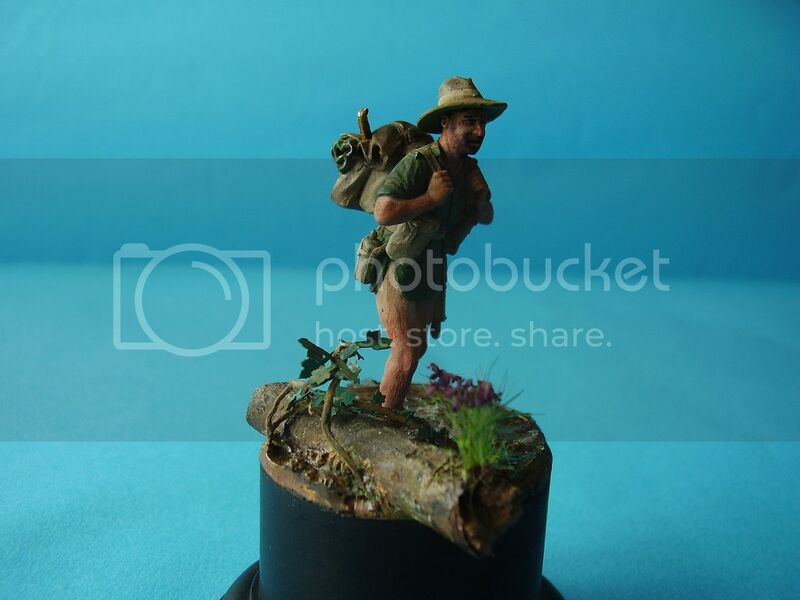 It depicts a small Platoon HQ during the Summer of 1943 around the north east tip of New Guinea taking a halt and radio check while on jungle patrol. Figures are from Firestorm Models, Sovereign and Wee Friends and most of the grasses and the bamboo are form Green Line. The Radio, 2 inch mortar and rounds are from Resicast and various bits of dis-guarded plants were used to add more shrubbery. Beautifully executed, Alan, jungle scenes are my favourite and you really pulled it off nicely. Super jobb..! Great work Alan - inspiring! !